I just finished up a Q&A session today. It’s a more informal and much shorter than the usual weekly episode (I recorded this in the home office while my little one playing in her room). The first episode of Couple Money was released this week and I’ve gotten some wonderful feedback from you. I’m using your suggestions for this week’s episode. Thank you so much for the words of encouragement and the questions you’ve sent my way. Speaking of questions, I thought having a Q&A would be a wonderful way to interact with you (besides the regular episodes and these posts). 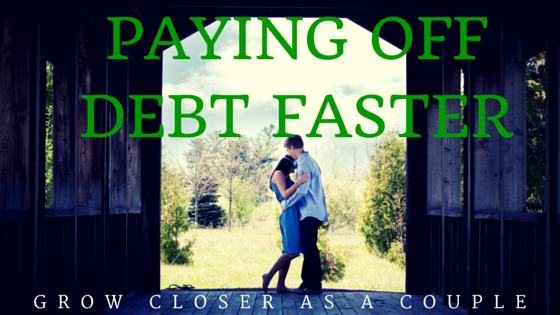 This session covers two questions about paying debt faster. 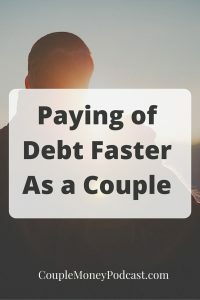 How did you decide on those 5 steps for paying debt off faster? When I was choosing the steps I was considering a few things. I wanted to get the essentials done and I wanted to make each step a manageable bite. It’s my hope that cutting it down to only what is absolutely vital will get you over the hurdle and out of debt. Looking at the numbers, the debt avalanche the faster method of paying off debt. Why would you put the debt snowball as an equal option to it? I love this because it gets into the purpose and intentions of this podcast. My goal for Couple Money is to help you two develop an effective financial system that fits within your personalities. Going back to the Four Hour Chef for a second, Tim shared how he worked through analyzing different methods of learning a new language and eventual new skills. Both the debt snowball and the debt avalanche/stack have helped people become debt free. Dave Ramsey has been hosting a highly popular personal finance radio show and one of the highlights is when people call in to announce they are debt free. Put simply – how likely you are you going to keep at using the method? Dave Ramsey likes to say that ‘Personal finance is 20% head knowledge and 80% behavior.’ I agree – most people get into financial trouble, not because they don’t understand numbers, but they’ve developed habits that have made it easy for them to slip into debt. If that’s you, then one of the major hurdles you have to overcome is to change your behavior. How many times have we said you’re going to get better with the budget, get in shape, or pick up a new hobby? One of the best motivations to help you change a habit is to have quick and real wins. That’s how the debt snowball works – you get rid of your smaller debts upfront and the momentum works in your favor as you keep going until your debts are paid off. And that’s really the goal – paying off your debt. I want the two of you to reach your debt free goals so you can focus on saving, investing, and using your income on more important goals. The debt snowball and the debt avalanche both offer effective and sustainable ways to do that so I recommend both. You choose which is a better fit for you. Thank you again for the questions. I hope my answers help. If you have anything else you’d like to ask me, please email me or leave a comment here. After all the prep, sweat, and tears, the first episode of the Couple Money Podcast is up! For the premiere show it’s all about debt, specifically getting out of debt faster and getting rid of massive amounts of debt. The guest on today’s episode is Brian from Debt Discipline. He and his wife have managed to pay off $100,000 in debt while raising their three kids. For listeners looking to get more information and resources to get rid of their debt, here are the links to what we mentioned on the episode. 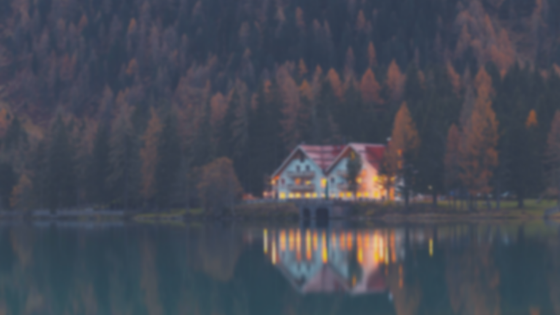 Couple Money: My personal finance site focusing on building net worth together by living on one income and having fun with the second. Personal Capital: Easy to set up & easy to use. You can have all your investments, income, and expenses all pulled into one place.Did I mention it’s free? Why don’t you give Personal Capital a try today? Mint: You can track your budget and your debt pay off progress with them for free. If you want more information you can review our monthly net worth posts or you can sign up and open an account. Debt Snowball Template: If you prefer to use a spreadsheet for your plans, here’s a free and handy debt snowball template. I also wanted to mention that Brian and his wife have JUST finished paying off their debt! Congrats to the whole family! If you enjoyed the podcast, could you please share this with your friend or leave a positive review? I read every review. It’s my goal to make this podcast both motivating and practical for couples looking to building their marriage and finances. Please feel free to reach out me on email with any topics you’d like to have discussed on the podcast. Welcome to the Couple Money Podcast Website! With this new podcast, I hope to help those looking for tips on building their finances as couple, but prefer to get their content in audio format. With the average commute time for Americans around 25 minutes each way, there is a certain segment of people looking to enrich their commute with some helpful information. How do I start talking about money with my spouse? How can we dig ourselves out of debt? How can we manage our money without counting every single penny? It’s my hope that the podcast will help you two reach financial freedom together. If you’re a Couple Money reader, you’ve seen me talk about living on one income and having fun with the second. For those new to my ‘catchphrase’, you may be wondering what I mean by that. The first part is about keeping your necessary expenses covered by one income. It can be a huge change for some, but it is a stress reliever when you have a buffer in your budget. I’m a bigger believer that couples should have more than one income stream, even if only one works full-time. Diversifying your family’s income is one huge way you can add some security to your finances. What do I mean by having fun? It depends on your family’s current financial situation. First things first, if you two don’t have some savings stashed away, that is a great way to add a bit of safety margin to your budget. If you two have high interest debt, use that second income to pay it down. Once you have taken care of your family’s immediate needs, it’s important to look at your future. If you two have managed to take care of all of that, now you can focus on growing your money and possibly retire early. The Couple Money Podcast will feature shows that tackle each step of the way including interviews with those who have been successful and have reached their goals. If you have any questions or topics you’d like cover, please email me.